Here is my original dash. Yes it's UNCUT. I've had numerous people express feelings of disbelief and regret that I hacked up an original uncut dash. Well, I did offer serval times to trade/sell my original dash for a modified one, but I got no response. Oh well, it's my car	and I didn't want to stop the project for someone else. Since I no longer need the original A/C controls, I designed a gauge cluster that would fit into the same location on the dash. 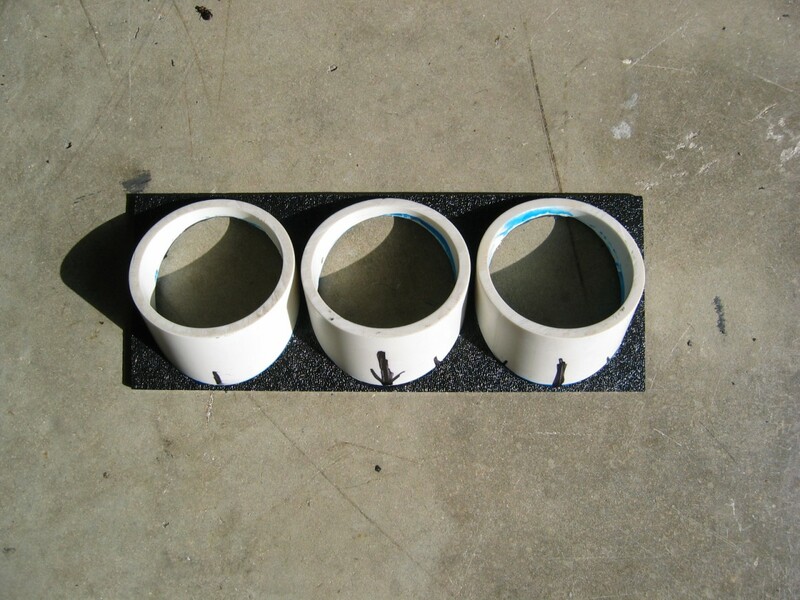 It's made from 1 piece of 1/8" thick ABS plastic (that has the same texture as the original dash) and three custom-cut 2" PVC pipe pieces (that hold and mount the 2 1/16" Autometer gauges). This shows the newly painted dash, now with the custom Autometer gauge cluster mounted where the A/C controls used to be. 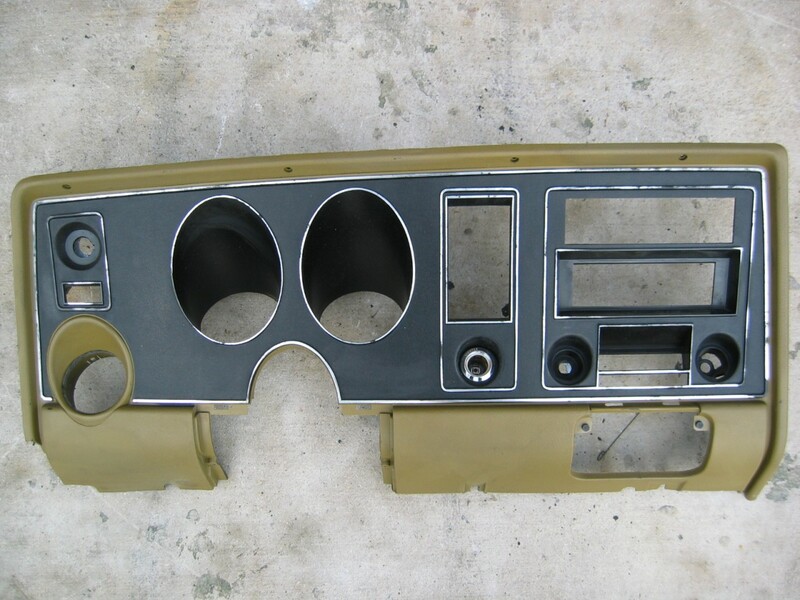 Below this, I completely cut out the old radio hole and installed a standard single "DIN" radio mounting box. The DIN installed at the perfect level angle to the dash by using only the standard tabs. 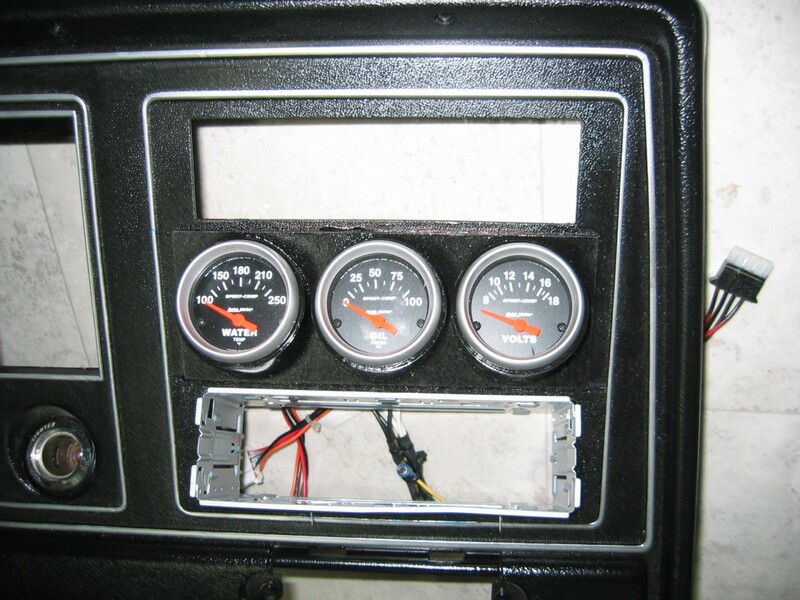 The Vintage Air controls fit perfectly into the "clock delete" hole to the left of the new gauges. I had to make a small, thick piece of plastic to hold the Vintage Air controls in place. 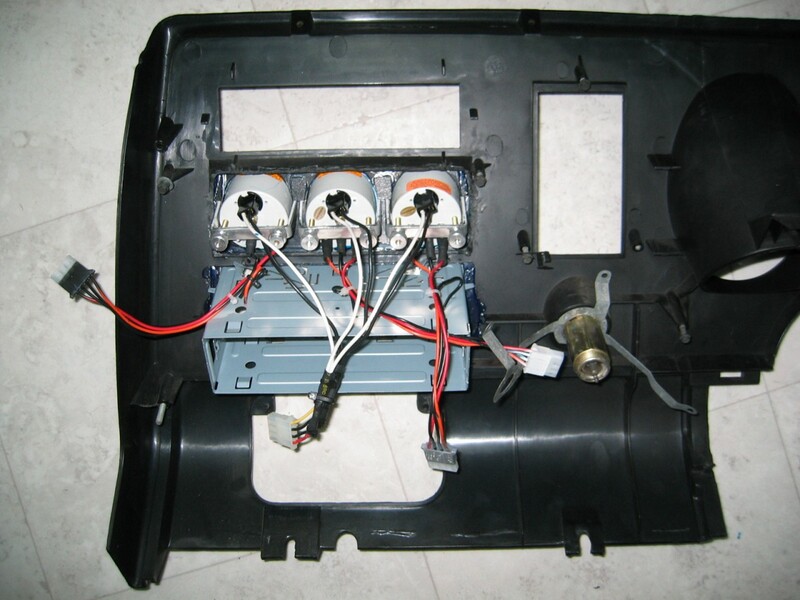 Finally, I installed the radio, and put the whole assembly into place. 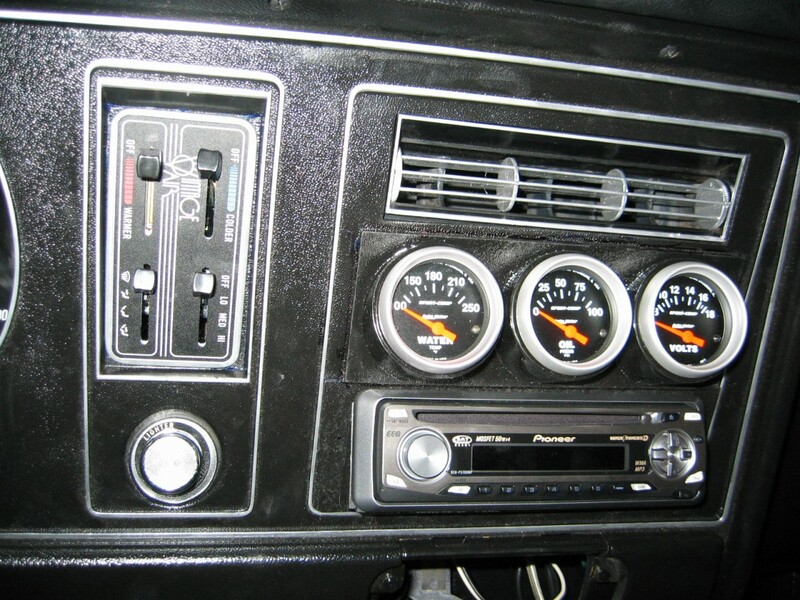 Not too bad looking for a modified dash, at least in my opinion.